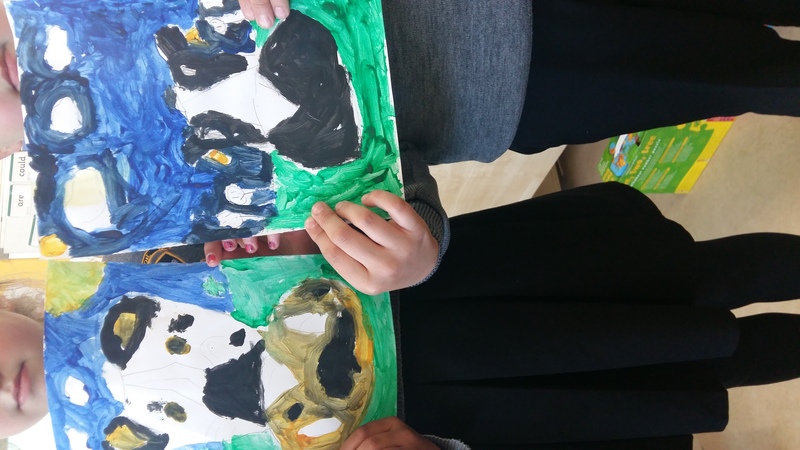 Seomra Bán are learning about Spring and the farm. 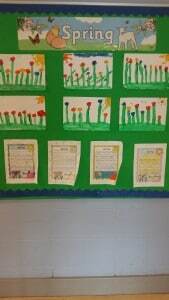 Seomra Bán have been learning all about Spring. 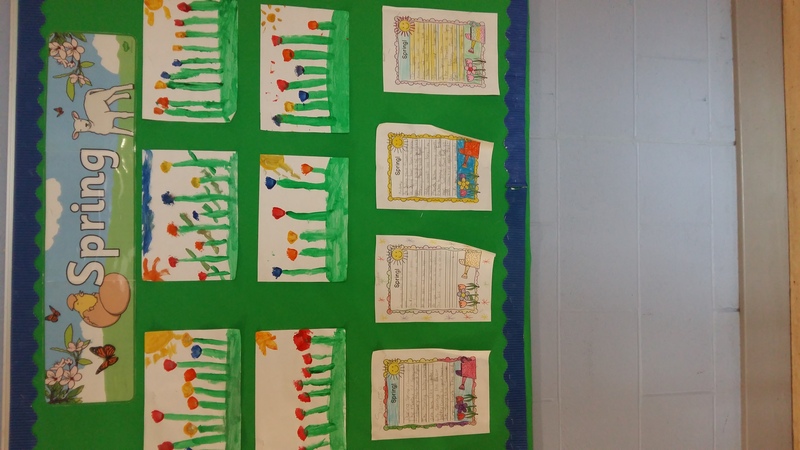 We painted Spring gardens and we all wrote a fact file about the changes that happen during Spring time. 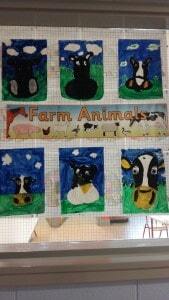 We are also learning about the farm. 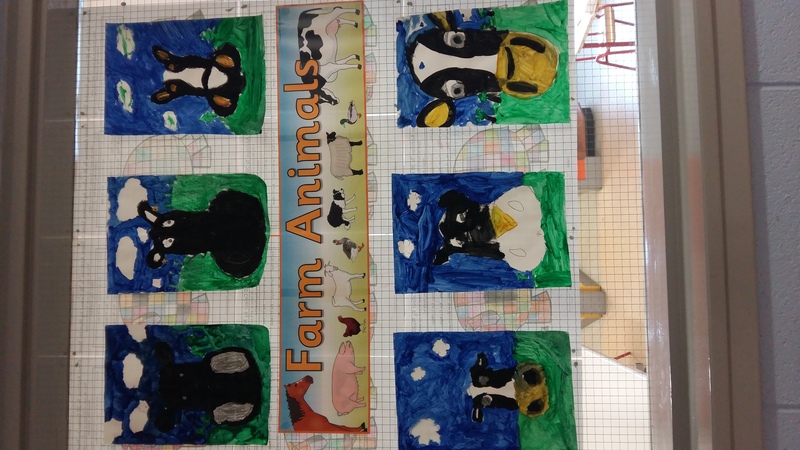 We learned about farm animals and the importance of farms. 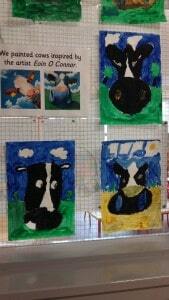 We painted paintings of cows. We looked at the work and life of the Irish painter ‘Eoin O Connor’. 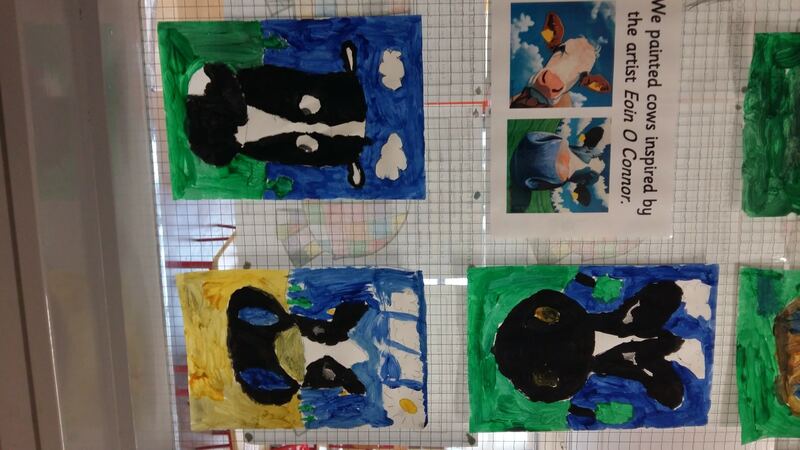 He paints interesting paintings of cows so we decided to paint pictures inspired by his artwork. 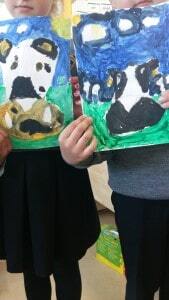 We are really looking forward to our school tour to Dublin Zoo to learn all about zoo animals and more about farm animals.